Today is our first day back after a long, wonderful break! And in between lots of relaxing, reading, and spending time with family, I was also able to get a couple projects done for my classroom! My first (and favorite!) 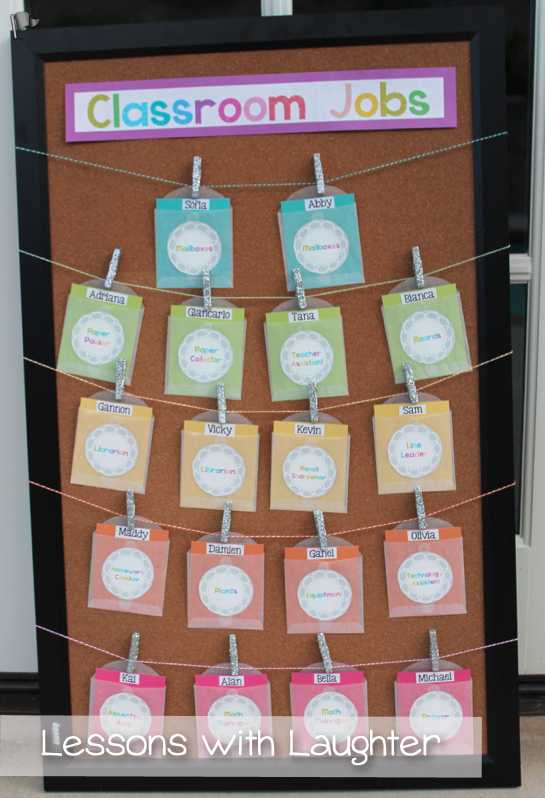 project is my new classroom jobs board! My old one I made 3 years ago and it was getting a little faded and was due for an update! I bought the colorful twine a while ago because it looked so fun, and I knew that I would find something to do with it! Then I saw Cara’s Advent Calendar and it gave me a great idea for my job board! After I had the main part done, I just had to add my kiddos’ names! I just typed them up (I used Kimberly Geswein’s fonts… have you seen her work?? Her fonts are amazing!!! ), printed them off, cut them out, and glued them to the cardstock. That way I can just peel them off and change them out when I need to! My next project was inspired by Tracy at Creekside Teacher Tales and Farley at Oh Boy 4th Grade! I started this probably over a month ago, but then couldn’t decide on which colors I wanted (story of my life!) and I put it off until this weekend! So glad I finally finished it! I love your job chart, very cute. 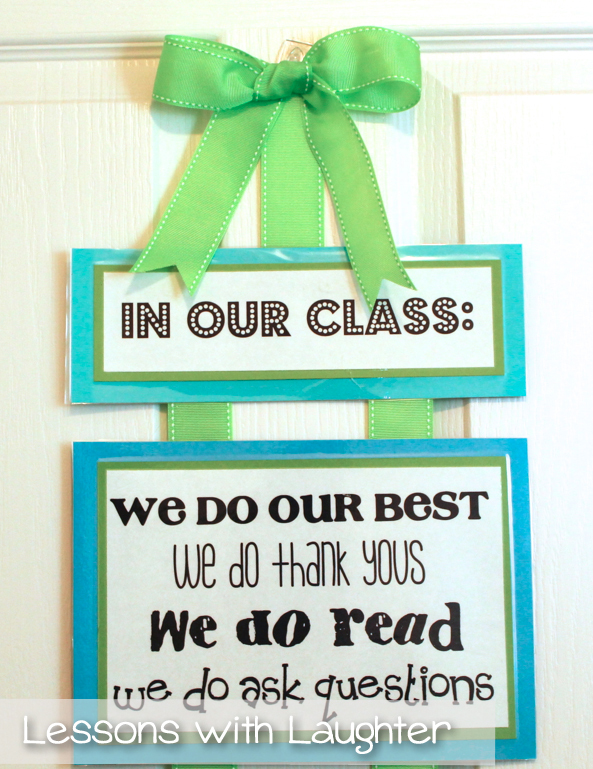 But I really love your "In our class we do.." Something like that may help motivate my students! I'm having a rough year with my students. :/ I'm hoping a nice long break will help fix that. I love your jobs chart! Where did you get the clear envelopes? Thanks, Shirley! They are from Paper Source! Super cute job chart! And Ella is just precious! I love your job chart and I am super lovin' that sign! All your stuff turned out super cute as usual! Congrats on your new pup! Labs are the BEST! I have a 4 year old black lab and just love him to pieces. I just love your job board! It's adorable!! so So SO PRETTY!!! I love everything you made Molly, I keep scrolling up to look at them again. Beautiful!! I LOVE your job board!!! It is so prettyful. Your job board is so cute. I wouldn't let my kids touch it! I love, love, love your job chart. I want one! Great job!! Your job chart is so pretty. I love it! You are so very creative!! I love your stuff! I'm glad I am now a follower!! Those sparkle clips just make the whole thing pop! Love it. I also have my kiddos apply for jobs…and for the same exact reason. It's like you read my mind. Following you now:) Can't wait to see what you so next. 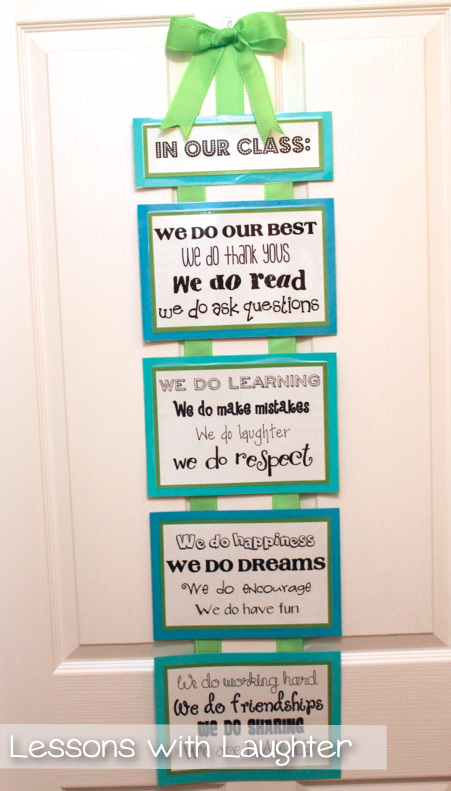 What an amazing classroom job chart. I love how colorful it is. Great job! I love your job board. It looks awesome! Awwww! Love your new lab. We have a black lab that is 5 years old. They are such great family pets. I love your job board. Where did you find those pockets? 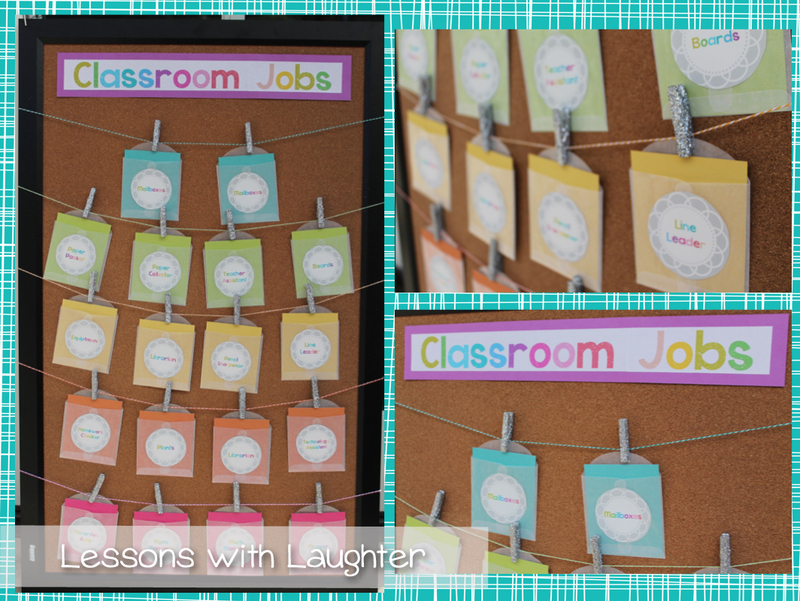 I LOVE your classroom jobs board…I hadn't decided what I wanted to do for mine next year, but now I know! I also just made my own version of your 'In This Class' sign. Thanks for all of the inspiration!!! Where did you find those library pockets? I LOVE how the colored paper shows through! 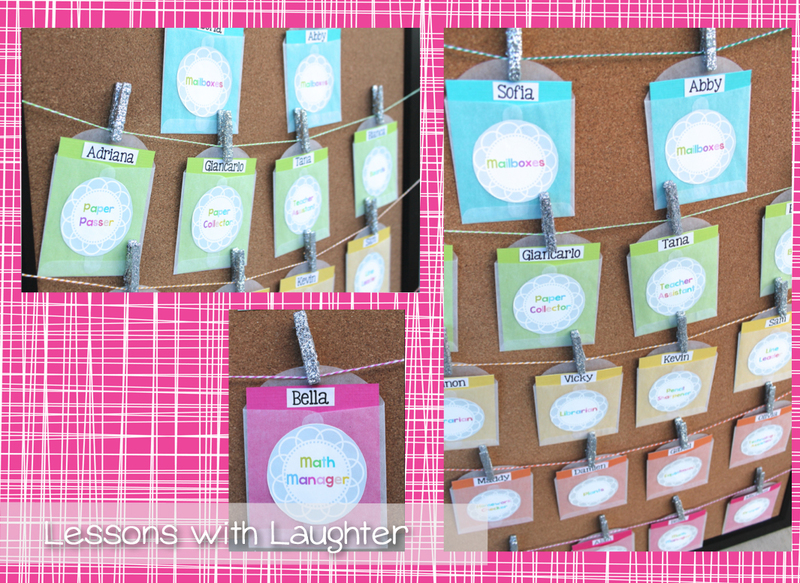 I pinned your adorable job chart awhile ago and cannot find one that I like anywhere near as much. Would you share where you found the clear pockets. Can't find them anywhere, and I've tried!!!! I would be so grateful! I would also love to know where you found those clear library pockets- totally adore them and having a really tricky time finding them. I've also been to all the craft stores looking for the vellum library pockets. Did you purchase them somewhere? Please fill us in! I absolutely love this idea! This is my first year teaching 4th grade and I was having trouble figuring out the class job/ rules board! Please, please, please post where you found the clear pouches!!!! So cute! Where did you find the clear pockets? Could you let us know where the clear pockets are from? I think they would be perfect for my jobs display! Do you remember what size pockets you used from paper source to make your job chart? The options it gives me when I click the link you posted are: Square -2 3/4″ x 2 3/4″ for $7.95 OR Square 3 1/2″ x 3 1/2″ for $8.95. Do either of those sound correct? Thank you!!! Did you get the square envelopes? If so, what size? Thanks again!!! 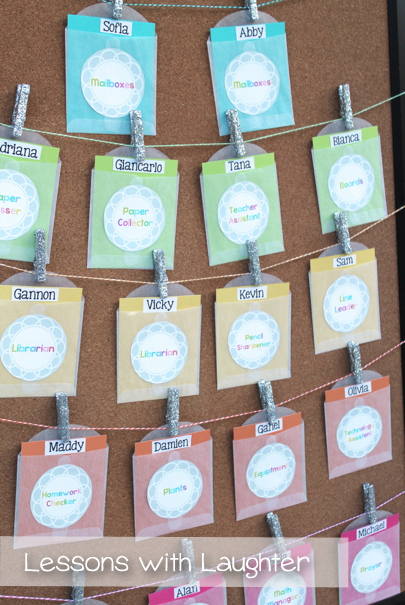 Are you willing to share your title and label template on teacherspayteachers? Awesome Molly- I'm looking for new ideas on how to display my jobs! I love your job chart! Where did you find the clear pockets? Do you have a copy of the resume you use? I might be able to find it on my other computer when I get home! What's your email? If I find it I can send it to you! I adore your job chart. I would love to incorporate the resume into my classroom this year, assigning jobs is such a chore! HI! I love this!! I am hoping to make it this year—- What font are you using to achieve the colored rainbow letters? Thanks so much!! Good morning! This will be my first year teaching and I am trying to get everything ready. I love your job chart and I want to make it. I went to that link to paper source to find those library pockets you used and 3 different options popped up. Which size did you use,Square Glassine Envelopes – 2 3/4″ ORSquare Glassine Envelopes – 3 1/2″? Hi! 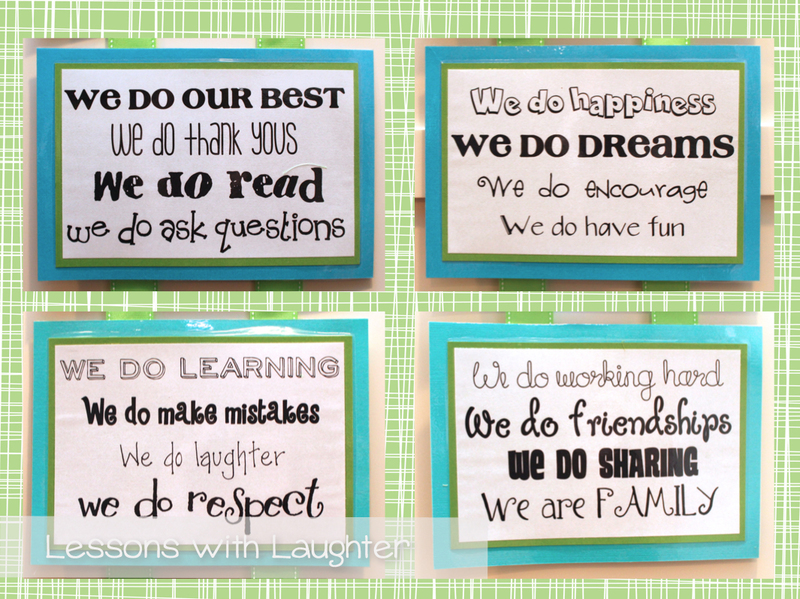 I am coming across this as I create my own job board and I love the little library pockets you used on yours. Where did you find them?